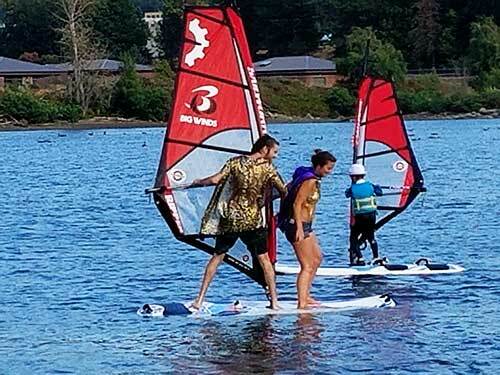 GROMS Program – Columbia Gorge Wind & Water Assoc. What’s a grom? The word grom or “grommet” is used to describe a young, inexperienced surfer, windsurfer or waterman who everyone generally recognizes to have interest, talent and desire to become better at their sport. The CGW2 “Grom” program provides a safe and protected environment to learn, as well as a trailer full of equipment right on the water at the “Hook” sailing site for kids who want to learn windsurfing or who want to hone their skills to advance to a higher level of sailing so that they can eventually master the more challenging conditions elsewhere in the Gorge. 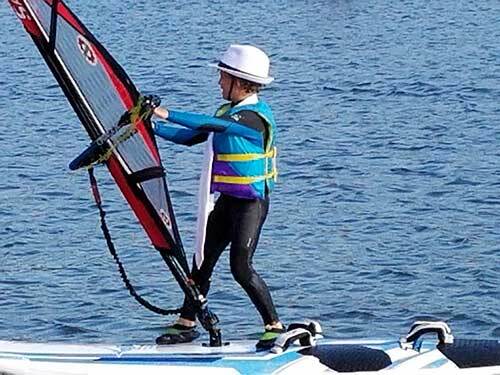 The hurdle for many families is the cost of owning or renting gear to learn on, especially for families with more than one child or for those who don’t have a budget to include windsurfing. That’s where the CGW2 comes in! With a family membership of $35, it’s just $65 more to include all of your kids in the Groms program. 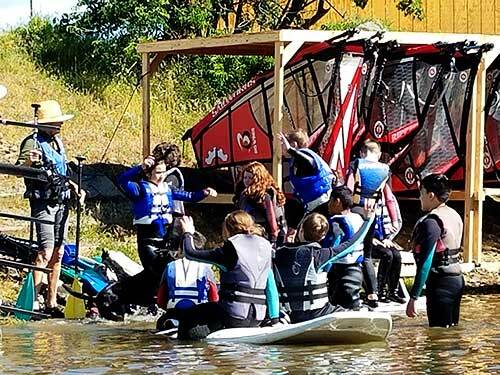 The program is parent supervised, and we provide wetsuits, lifejackets, helmets, and all the pre-rigged boards and sails in sizes to fit every size kid. We generally ask that parents enroll their child in at least one introductory lesson at any of our local sailing schools before plying the waters of the Hook, but experienced parents can teach their children too. CGW2 membership must be up to date, so signup early!